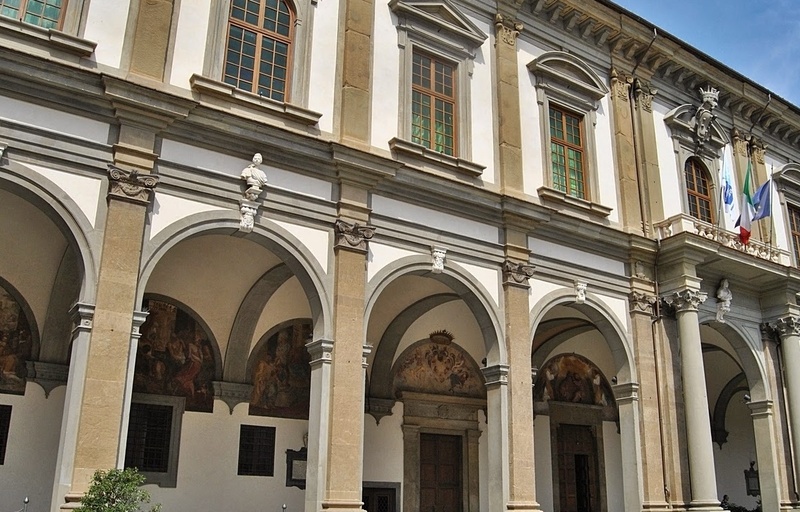 As of December 15, 2015, those who seek an opportunity to discover an incredible collection of art in Florence now have a wonderful option: the Ospedale Santa Maria Nuova. This, the oldest hospital in Florence, now offers guided visits to some of is vast collection of treasures. The hospital was founded in 1288 by the father of Dante’s beloved Beatrice, Folco Portinari. He was asked to build the edifice after being approached by the matriarch of the founder’s family, Monna Tessa. Over the centuries, donations have been made to the hospital in thanks for the care and service provided to various families.The rich variety of art include works by Pietro di Niccolò Gerini, Andrea del Castagno, Della Robbia, Bernardo Buontalenti, and Pomarancio. Visits to this complex offer visitors rare glimpses of an invaluable, little-known, collection of renaissance treasures. Architecturally, the beauty of the structures, interior arches and various vast superb rooms with ceilings covered in frescoes, add yet another dimension to your visit. In order to visit the Osepdale, you will need to contact them directly through the links below. Tours are organized with no more than twenty in a group, and are always lead by a guide so that the privacy of patients is observed and the size of groups well controlled. Visits last 40 to 50 minutes and groups can be no larger than 20. A professional guide always accompanies the group. News that the Museo del Opera del Duomo (Museum of the Works of the Duomo) in Florence is closed for over a year for an expansive restoration has been met with mixed reviews. 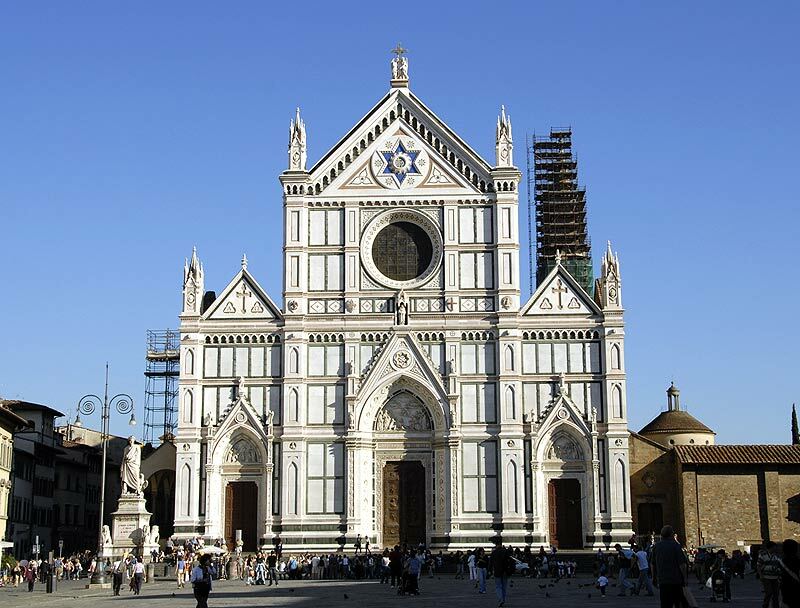 The new museum will nearly triple the old museum’s size and will include a full scale replica of the facade of Florence’s first Duomo, Santa Reparata. The North/South and East doors of the Baptistery – the original panels, that is – will also be placed on display in the new spaces of the museum for all to enjoy. Concurrently, the Baptistery exterior is undergoing extensive renovation, to include the replacement of all of the original door panels with copies. It is a bit sad, and disappointing to the thousands how will visit Florence over the next year, to think that the Nicodemus Pieta, Donatello’s Magdalene and the Della Robbia – Donatello Choir lofts, along with numerous other treasures of Renaissance art, will not be seen again until the fall of 2015 when the museum is scheduled to reopen. 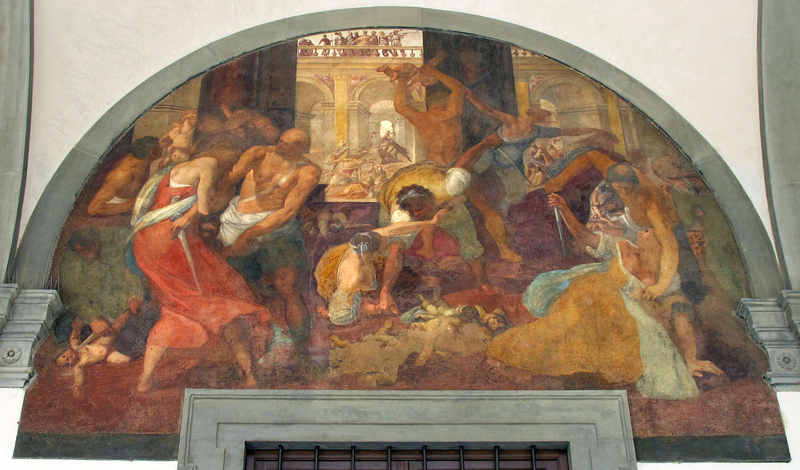 There are, however, numerous options for visitors to experience the art of the Renaissance in Florence; the Uffizi, the Bargello Museum, the Museo di Firenze com’era, and – until 20 July 2014 – an extraordinary exploration of the art of Rosso Fiorentino and Pontormo at the Palzzzo Strozzi. (More on that in another post). So…if you wish to visit the treasures residing in the Museum of the Works of the Duomo, enjoy Florence this summer and come back in the fall of 2015 to celebrate what promises to be an incredible reopening. It is a dream, this island illuminated by ocher lights amidst a golden hazed sunset. Alpine born breezes carry the scent of jasmine and lemon blossoms. As if the lakes of northern Italy could hold no more surprises, you discover Lago Orta. Lago Maggiore, east of Orta, is by far the larger lake. With over 150 miles of shoreline, Maggiore dwarfs the twenty-one miles of this lake’s lovely shores. In the midst of Orta’s crystal clear waters is the island of San Giulio. 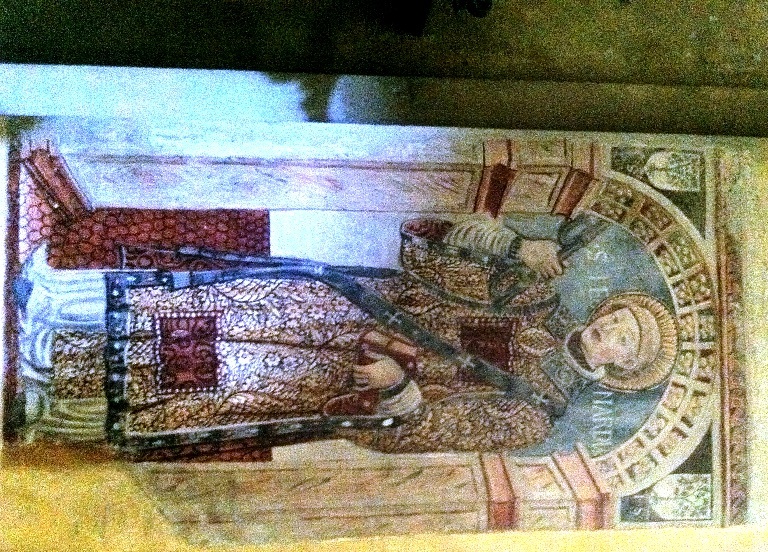 It was in the 5th Century that the local patron saint, Julius of Novara, was buried on the island. Subsequent improvements to the island were made between the 6th and 19th centuries, most notably the seminary built at the end of the 12th Century. A castle was also constructed on the island at the beginning of the 13th Century. In 1844, a convent was built on the ruins of the medieval fortress. It is in that same building where the Sisters of the Monastero Mater Ecclesiae, Convent of the Mother Church, now reside and work. In cooperation with the association of the arts in Florence, these sisters repair priceless tapestries. Well after sunset, a number of them carry their completed work down to the water’s edge where the tapestry is lovingly transferred to a small boat and, from thence, to a truck on the mainland. The Sisters usually pick up yet another aged tapestry for repair. To watch their small boat surreptitiously float across the midnight blue lake, a small lantern hung from the bow of their boat, is nothing short of breathtaking. It is, as well, an unusual gift to catch a glimpse of a white robed Sister during the day as she makes her way among the corridors and small bridges that cross the encircling paths of the island. They are phantoms from our imagination in a place of indescribable peace. The Sisters also tend to the task of maintaining the reverence of the island. In the latter part of the 19th Century, they created two pathways – the Way of Silence and the Way of Meditation. 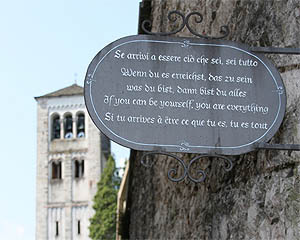 Depending on the direction you circle the convent buildings, you are greeted with signs which encourage you to stop and meditate on place and silence. Another reads as a poem. Some of the frescoes on the main pillars of the Basilica’s nave are etched with notes made by members of ancient religious communities. 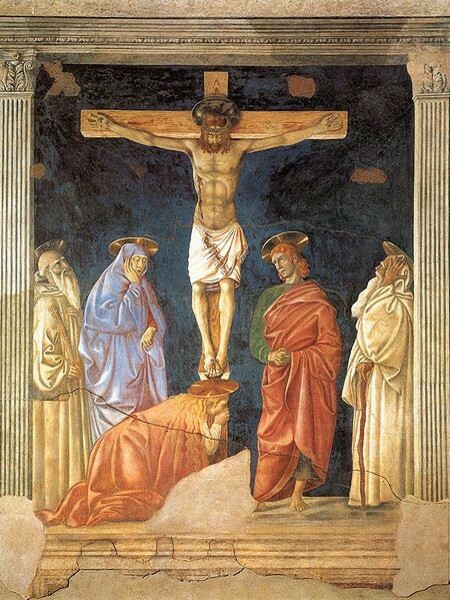 Inscriptions as mundane as the weather, jealousies between Brothers and thoughts about their faith cover many of these treasures of Renaissance art. As visitors take time to study the labor of generations, all are reminded of those whose humanness reflects our own. 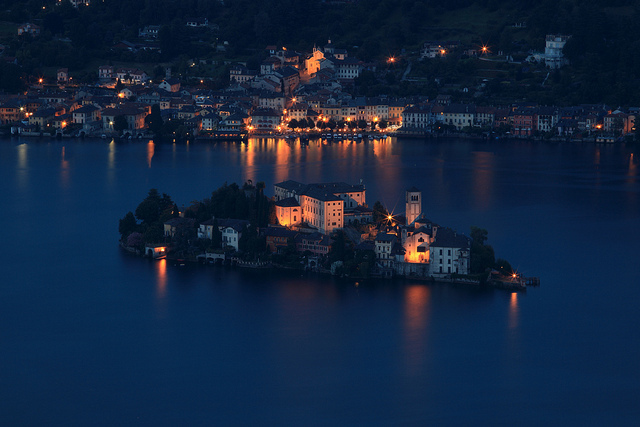 When your visit to the island is completed, you can retreat to the small village of Orta San Giulio. The medieval lanes of the town are little changed over the centuries. The Renaissance Town Hall dominates the main square, small though it may be, and the quiet of the tiny piazza is only interrupted by the occasional arrival of the parking area’s shuttle. (See “If You Go” below for information about parking and access to the village square). I admit a strong preference for staying along the shores of Lago Orta. This is a treasure still not well known by visitors, a retreat for those seeking anonymity and escape from the tourist crowds. Far from cities, away from the madness of trains and buses, cars and ferries, this is a place to treasure for its uniqueness, a place special and apart even in the midst of Italy’s northern lake region. Lago Orta is easily reached by car from Lago Maggiore in about forty-five minutes. Best train connections from Milano Centrale Station are to the city of Gozzano, locate at the southern end of the lake. You can take a bus or taxi from the Gozzano train station to the ferry landing where you can purchase a ticket for travel on the lake. Ferries on Lago Orta operate on a regular schedule throughout the day. A wonderful way to pass time here is to take the ferry around the entire lake-only an hour’s trip. Gorgeous lake side villas and small towns dot the shores and hillsides. Visits to the Basilica and pathways of the island of San Giulio (visitors are not allowed in the convent at any time) are possible from 9:30AM – 12:15PM and from 4:00PM – 5:45PM. These hours are strictly enforced as the Basilica is used by the Sisters who live on the island for their services. Photographs without flash are frowned upon, but permitted. NOTE: If you are driving, you must park above the village. 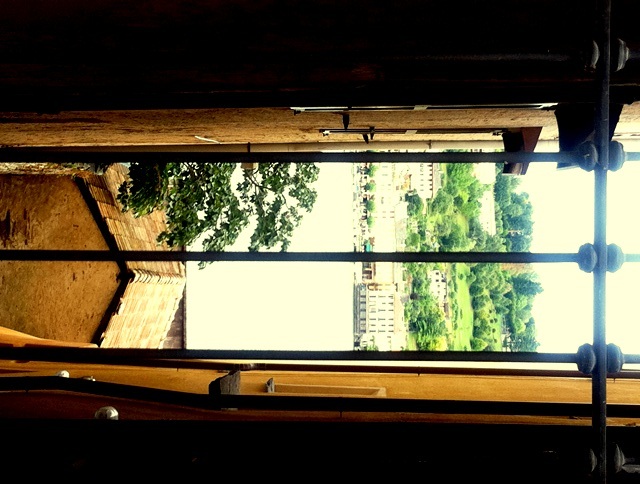 There are shuttle trains that will carry you into the village center of Orta San Giulio. Once you ride through the perilously narrow lanes to get to the main square in the city, you will understand why you have to park way from the village center! Also, check out the many apartments for rent around the lake. If you are staying for longer than a few days, these are exceptional options especially if you rent in a town where there is direct ferry service on the lake. I’ve just returned from Christmas Eve services at San Giorgio Maggiore, Palladio’s magnificent church on its island across from Piazza San Marco. A faded green and yellow vaporetto awaited our boarding. We departed into mist-veiled midnight. Between points of solid land, in space marked by few reference points, we glided across the ebony fog-shrouded, mirror smooth, waters of the lagoon. The peace of the boat was interrupted only by an occasional splash of water against hull. Passengers were silent. Perhaps they, as did I, recalled images of candle illuminated frescos, the heady fragrance of smoky incense, transported by those memories, the mystical soul of this extraordinary night. Lights glowed from harbor markers as we passed prism globes afloat in misted air, suspended above the coal dark sea. As we approached the landing at San Zaccaria, fog-veiled lights on palazzi, hotels and the Ducal Palace came to view. Everyone leaving the vaporetto was offered a kind, quiet, “Buon Natale” (Merry Christmas) by the attendant. Softly muted voices responded as passengers dispersed into the early morning. As I turned down a darkened lane near my rooms a small dog and cat appeared, walking side by side, seeming oblivious to both their differences and my footfall. As they reached the end of the lane, they sat at the edge of a narrow canal. Billows of fog breathed passed behind their silhouettes. I stopped to watch, noting the time; thirty minutes past midnight on Christmas morning. An old story of Christmas Eve, a time when animals could talk with each other, came to mind. As I turned yet another corner I pulled the scarf up more tightly around my throat, shrugged the coat against my shoulders and left those two friends behind.